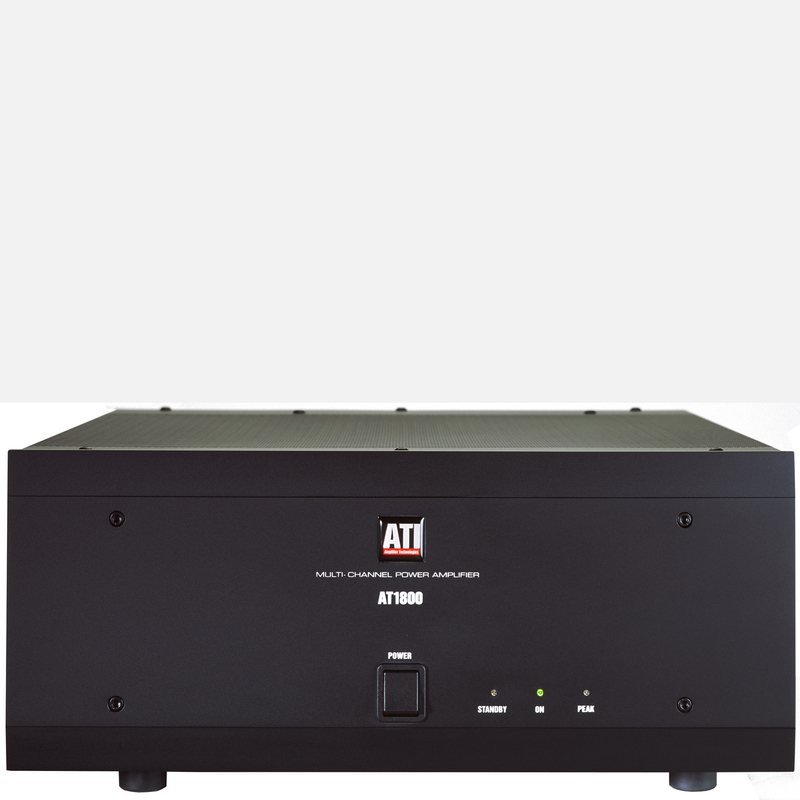 Like all other ATI amplifiers, the AT1800-series amps are cooled by large heat sinks, not by cooling fans. 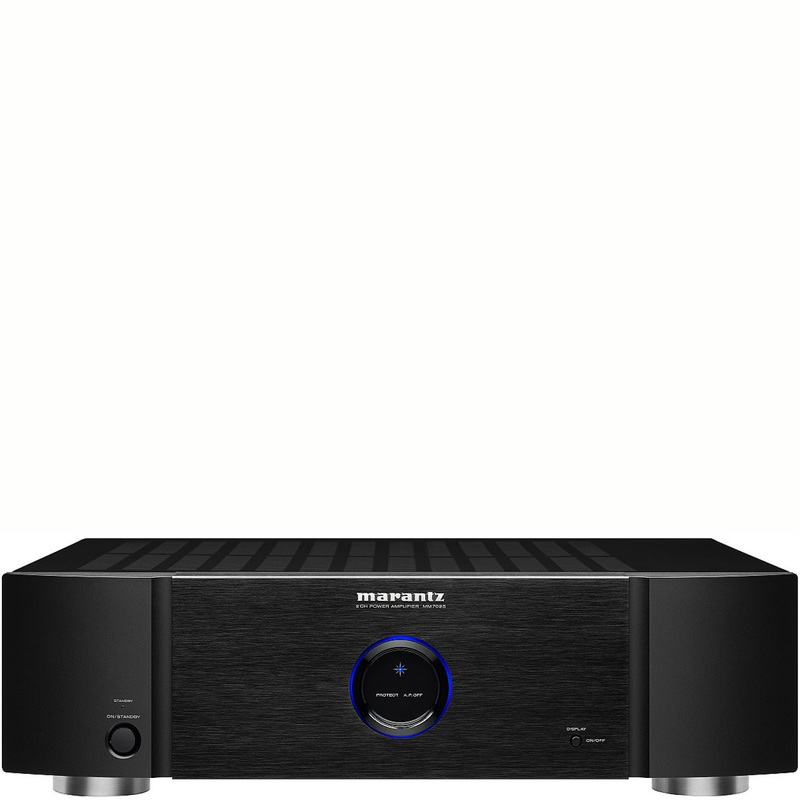 This feature may be especially important in this amplifier, which is likely to find use in many home theater systems that do not hide the equipment in a rack or closet. 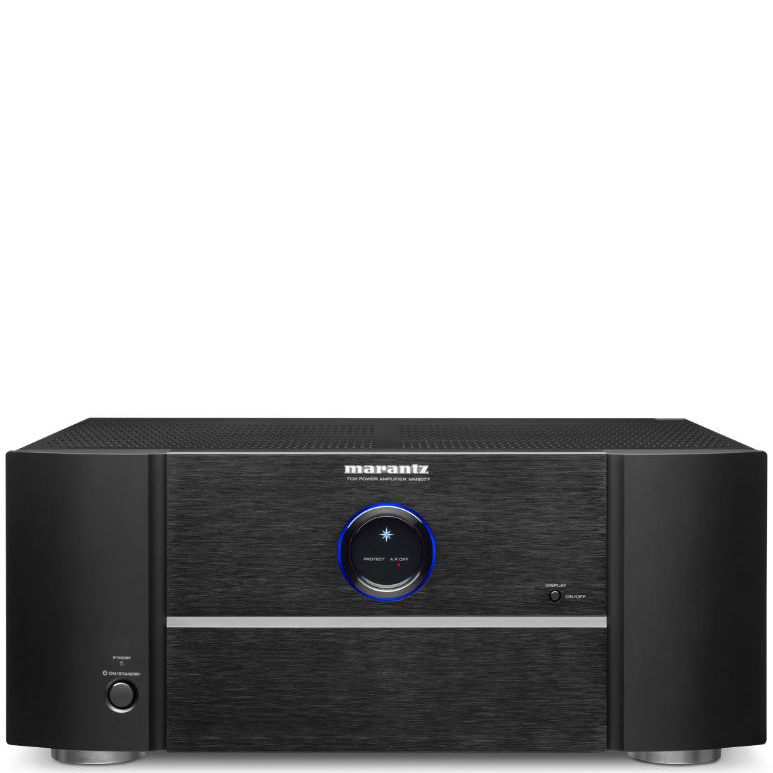 You can set this amp right next to your favorite listening chair without having to worry about fan noise. An optically-coupled protection circuit automatically shuts down the amplifier in an overload situation, such as when someone accidentally cuts into a speaker cable and shorts out the amp. Once the protection circuit is engaged, it checks the conditions every 10 seconds, and restores output automatically when the overload situation is remedied. The protection circuit is optically coupled to the audio circuit; because there’s no direct electrical connection, the protection doesn’t affect sound quality. A magnetic circuit breaker provides further protection and eliminates the need for cumbersome fuses. The AT1800-series amps use the same transformer construction as the top-of-the-line AT3000 and AT2000 series amps: MOH cores with bifilar windings, built in our own factory. 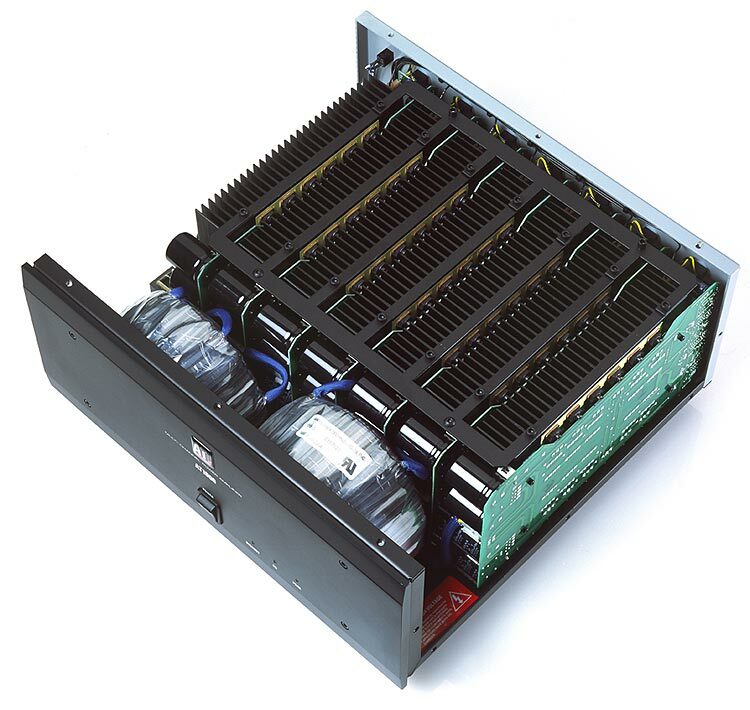 It also uses double-sided glass epoxy circuit boards and the same rugged, powder-coated chassis used in all our products. Even the AT1807, with 1,260 total watts, will not trip your household circuit breaker or dim the lights when you switch it on. High power amps draw a momentary—but tremendous— inrush of electrical current when you turn them on. 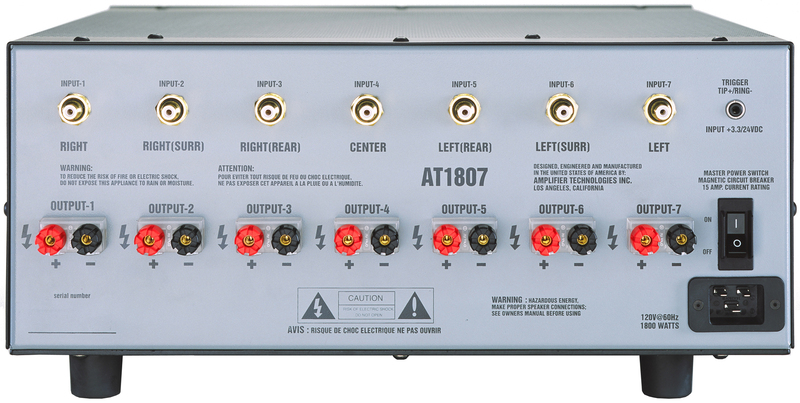 The AT1800-series amps do not, thanks to ATI’s Ultra Soft Turn-On circuit. This circuit gradually powers up the amp, to ease the load on your household circuits. 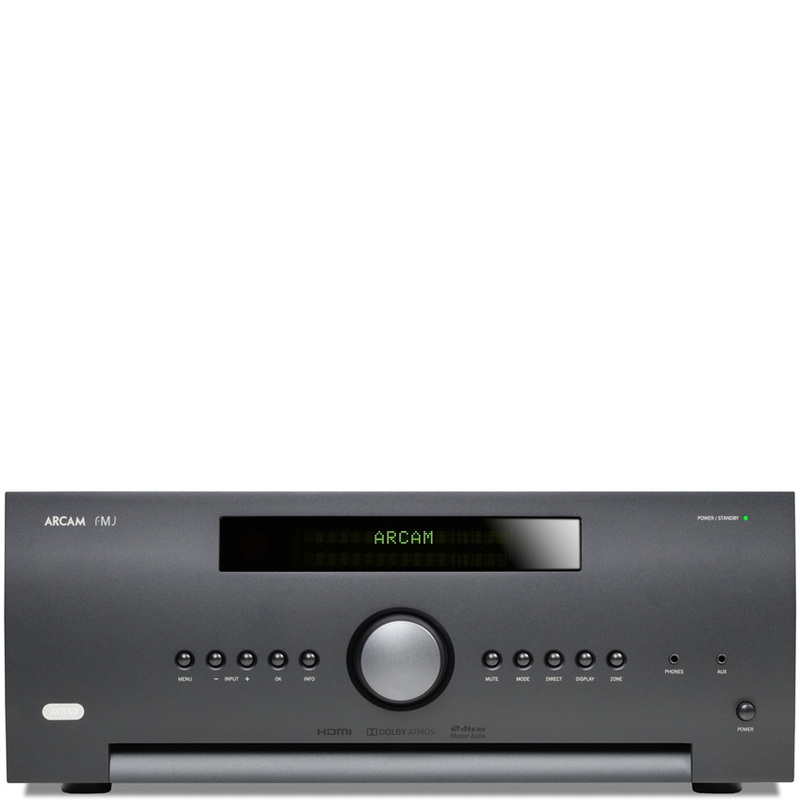 And the amp includes a trigger input that allows it to be turned on and off. *EIA 1kHz Power refers to maximum average power in watts at 1kHz with 0.005% THD and noise. **FTC Full Bandwidth Power refers to maximum average power in watts from 20Hz to 20kHz with 0.03% THD and noise.